For the region, see Paraguay (area). 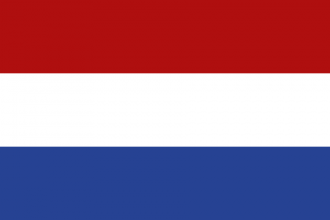 Paraguay is a formable country located in South America that is available in game starts after the 17th May 1811. Paraguay can be formed by any former colonial nation which owns the required provinces in ‘Colonial La Plata’ (colonial region). owns a province in Colonial La Plata (colonial region). owns its core provinces: Asuncion (775), Concepcion (776), Melodia (2883) and Chaco Boreal (799). gains a permanent claim on every non-owned province of Colonial La Plata. Provinces in red are required to be owned and cored to form Paraguay. 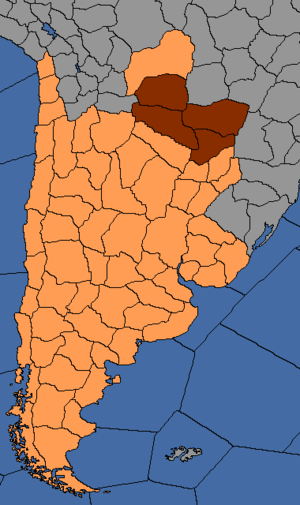 Forming Paraguay grants permanent claims on the orange area. ↑ For the script code of the decision see in /Europa Universalis IV/decisions/ParaguayNation.txt.